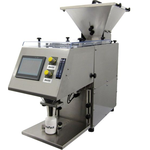 TC-100 is design for accurate counting and bottle filling of all kinds of tablets and capsules. 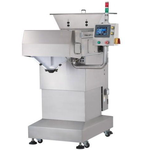 TM-100 counter is designed to feed and count any size,shape or quantity of tablet and capsule without change parts. 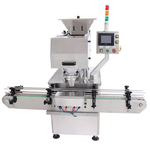 TM412 is designed to feed and count any size,shape or quantity of tablet and capsule (hard shell capsules, and soft gelatin capsules are compatible) with high counting accuracy without change parts . 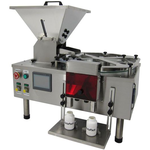 TC-415 is designed for accurate counting and bottle filling of all kinds of tablets and capsules. 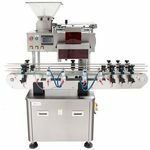 ● Variable speed control for 6 tracks.